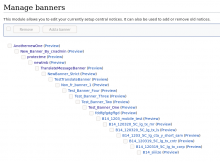 It seems there's unused code for banner previews in an iframe as part of the banner editor. We should remove this. Yes, thank you! Any future work on banner previews will probably be to add language and country options to the wiki preview link. ggellerman set the point value for this task to 2.
ggellerman moved this task from Analysis to Sprint +2 on the Fundraising-Backlog board. Can this task be reversed to actually add a banner preview while editing? 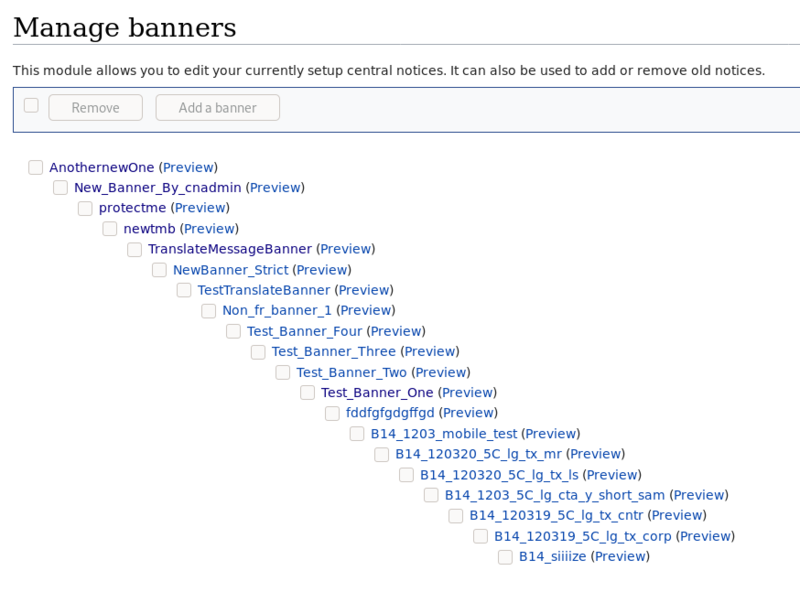 When creating banners I am forced to use such handmade makeshift preview: https://meta.wikimedia.org/wiki/User:Base/CNBannerEditpreview.js and of course it does not cover everything I need and still forces me to save the edit (which as per another bug is slow), view live preview, and repeat it many times, sometimes to do something as trivial as getting the font-size right. I was able to reproduce the issue by zooming out, and confirmed that it doesn't happen without my patch.